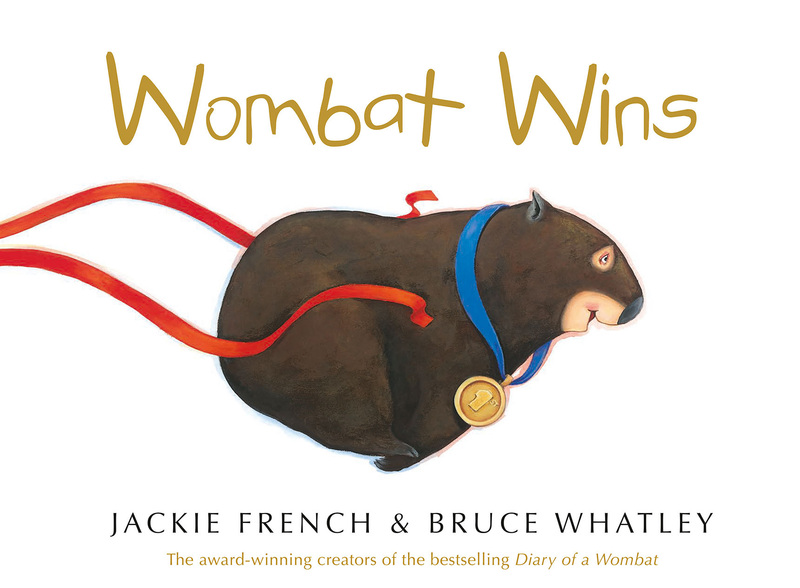 Jackie French is an author, wombat negotiator, Australian Children’s Laureate 2014-2015, and Senior Australian of the Year 2015. Some of her books have won international awards and sold millions of copies. Others were eaten by the wombats. I wrote my first children’s book, Rainstones, in a desperate attempt to earn $106.40 to register my car, while living in a shed with a wallaby called Fred, a black snake called Gladys and a wombat called Smudge. The editor at HarperCollins said it was the messiest, worst spelt manuscript they’d ever received. The mess was because Smudge the wombat left his droppings on the typewriter every night. The spelling was because I’m dyslexic. I recommend all beginning writers misspell their first book so it stands out of the pile. Trying to get all early childhood teachers trained to teach literacy, with the same funding and importance given to teaching literacy as is given to sport or science, as well as professional development courses for all teachers to recognize literacy problems. Every child – and adult – can learn to read! If we fail one child we have failed in the deepest duty of humanity, to care for our kids. Ophelia, Queen of Denmark. A retelling of Shakespeare’s play, with Ophelia as heroine, much black humour, a happy ending, and lots of cheese. And it still doesn’t conflict with anything in the play itself. Wombat Wins with Bruce Whatley. The wombat accidentally enters the school sport’s carnival. And of course, wombat wins! 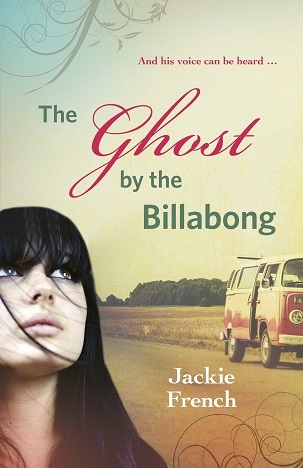 The Ghost by the Billabong. For adults and young adults. The fifth in the Matilda series. It is 1969: hippies chant “Give Peace a Chance”, and mothers march against the Vietnam War under banners that say “Save Our Sons”. At Gibber’s Creek, a ghost called Fred watches Jed Kelly arrive, claiming to be the lost granddaughter of the wealthy and dying Tommy Thomas. Is Jed a victim or conwoman? What secrets does injured Vietnam veteran Nicolas hide? And can Australians really guide mankind to the moon in the greatest adventure humanity has ever known? A modern chair at an ancient shabby desk. The desk is in a study with three walls of windows. The study is in a house that was once a shed, but now rambles up and down the mountainside. The house is in an orchard, with 800 fruit trees, 272 kinds of fruit, about a dozen wombats, a wallaby who eats the roses that ramble up the fruit trees, an echidna who hunts ants under the geranium plants, and melon vines that try to invade the windows. The orchard is in the Neverbreak Hills Conservation Reserve, which was established two years ago to protect the many endangered species who live here. The Nature Reserve is in a deep valley, where my ancestors lived before me. The cliffs are streaked with eagle droppings, lyrebirds soar from the tree tops, and the pools are so clear that at times you feel you are flying as you swim across the reflected clouds and sky. 6 am. Wake up when my husband gets up. Go back to sleep. 7.30 am. Get up. Mooch about the garden and valley. Have breakfast. 8.30 am. – 6 pm. Work, interrupted by more mooching in the garden, picking fruit and veg, cooking lunch and dinner and possibly a tray of biscuits. 7 pm. Explain firmly to the wombat that there is plenty of grass and she doesn’t need carrots. 7.05 Explain the carrot situation again to the wombat. 7.25 Speak very firmly to the wombat. 7.28 Speak very firmly indeed. 9.30 Finish with the mail. Convince the wombat once again that there will be no carrots. Go to bed. 10.31 Give in. Feed wombat carrots. Go to sleep. There is a small shop in a dusty mall that says it sells sports shoes, but they never have any in your size. But if you go there every second Friday and whisper “Jackie sent me” they’ll sell you two kilos of inspiration. But the price will be high. Because the more you are given, the more you need to give, and if you have a heart, compassion and humanity, the more you will want to give for the future of our kids. The true price is not always money. Trying to keep up with letters, emails, requests to talk. I am only one person! It is so very hard to say “no”, and sometimes, even harder to find the time to say “no” to all the enquiries. My heart wants to say “yes” to every one, but it’s also a “dicky ticker” and there is a physical limit on how much I can do. Unless of course someone can lend me a time and space machine. Please? You write for the audience, never for yourself. When I was 16 I thought we’d change the world. At 61 I know we have. A book can change a child’s life. A book can change the world. If you want intelligent children, give them books. If you want more intelligent children, give them more books. Books create new neurons in a child’s brain. Reading difficulties do not exist, only teaching challenges. Humans thrive on challenge. Our ancestors survived ice ages. But we are not good at being bored. Forget “failure is not an option”. Failure is option 1 to 1001. Give kids the stories that they need and watch them stride into an extraordinary future. And they will not be bored. Margaret Atwood, Ursula Le Guin, Jo Walton, Anne George, Mary Grant Bruce, Connie Willis, Kerry Greenwood. 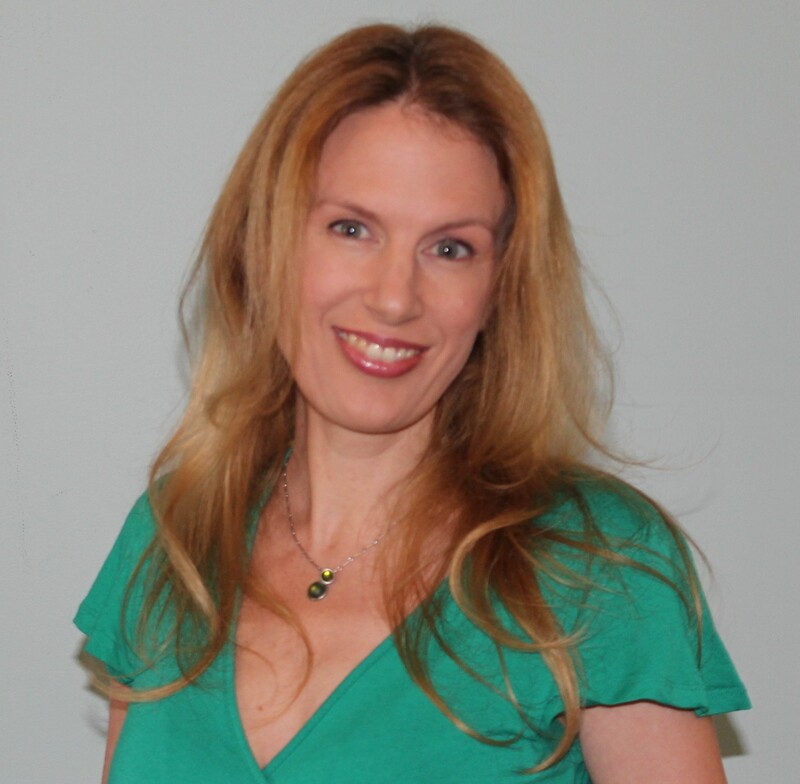 Kerry Greenwood…partly because unlike some of the authors above, she is still alive. But writers never truly die while their words and love live on the page. NB: This is interview 4 of 4 in a special feature celebrating Picture Book Month. 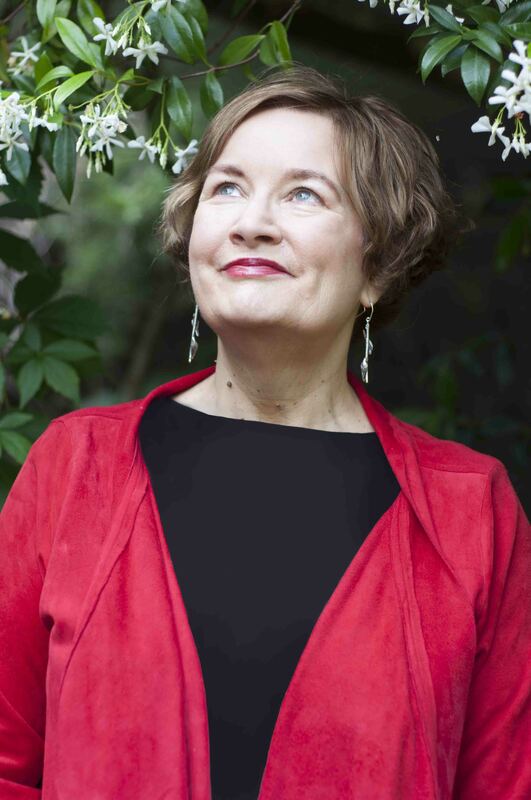 Read back for recent interviews with Susan Whelan, Sandy Fussell, and Debra Tidball! Diary of a Wombat is a wonderful story! Beautiful interview, Nicole. What a legend you are, Jackie French, and thank you for your time!